04 Mart 2019 Pazartesi 01:00 - 6 reads. Since the days of the people in Algeria will go up against President Bouteflika on the road. Nevertheless, the 82-Year-old explain that he puts himself for re-election. He will not govern for the full term. Algeria President Abdelaziz Bouteflika to run in spite of the massive protests against him again for the highest office. In the evening, on the news, he announced however, in the case of his re-election to his retreat. He will not rule the entire term, but there will be early elections, reported the state news Agency APS. In the case of such a choice Bouteflika wants to compete accordingly. At the same time, he announced a national conference on political, economic and social reforms will be discussed. 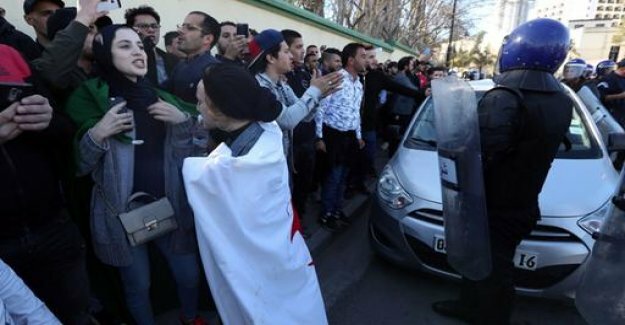 in Front of the University in Algiers, the people protesting against the re-candidacy of Bouteflika. a Leading opposition politician, announced a Boycott of the election and called for further protests. The largest moderate Islamist party in Algeria, HMS, announced that it had decided not to vote, to compete, should Bouteflika to stand for re-election. Also, the former head of government Ali Benflis, the second got in the presidential election five years ago, behind Bouteflika most of the votes, announced his withdrawal. He had accused Bouteflika, already in 2014, systematic election fraud.